Emmylou Harris lyrics and chords are intended for your personal use only, she's one of the most beloved artists of out time. Let's play and sing country classic songs often to keep it alive. This very talented lady was born in Birmingham, Alabama in 1947 but grew up near Washington D.C. While attending college she sang with a local folk duo and eventually moved to New York City to try her luck at a professional career. She played the local clubs on the folk scene but the struggle to make ends meet forced her to return home. 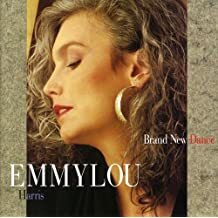 Emmylou was determined and was finally offered a record deal with Reprise Records in 1975 and "Pieces of the Sky" from the album reached the top 5, then later she took the great song "Together Again" to number one and won her first Grammy. She was finally on her way and since then has had a very successful career and given us so many great songs to enjoy. She is such a pleasure to listen to and will always be appreciated for her talent.